The City and County of San Francisco announced on October 1 the start of free Wi-Fi service in Duboce Park, the Harvey Milk Recreation Center, and 31 other public parks and recreation centers in San Francisco. 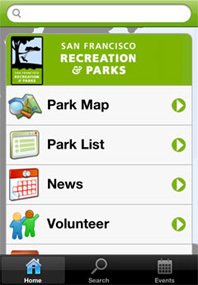 Other nearby parks with free Wi-Fi include Alamo Square, Corona Heights, the Randall Museum, and the Eureka Valley Recreation Center. Here are the steps to connect to “#SFWiFi”: select the Wi-Fi network named “#SFWiFi”, launch a web browser, and click the button to accept the terms and conditions. Note the old SSID “_San_Francisco_Free_WiFi” is no longer available. Funded through a $600,000 gift from Google to San Francisco last year, the Department of Technology spent the past year installing and testing the networks that city officials say are ready for prime time. Benefits of the free Wi-Fi service include expanding programs utilizing the service at recreation centers, improving registration for public programs and boosting communication among city employees. 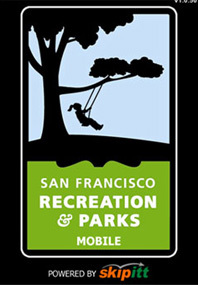 San Francisco’s Recreation and Parks Department offers the free Official SF Rec and Park App as a gift to citizens, visitors, and tourists. It provides the public with the best app to find locations (Parks, Children’s Playgrounds, Dog Parks, Museums, Rec Centers, Picnic Tables, Gardens, Restrooms, News, Events, and POI’s), all provided with descriptions and pictures and displayed on a GPS enabled Mobile Map with directions. You can search and filter through thousands of locations through the simple and easy-to-use interface, bringing efficiency, transparency, and exposure to the services and facilities maintained by the City and County of SF for the public. A few of the features activated for this release of the sfrecpark App are Search, Filter, Volunteer, Donate, Reservation Request, Location based Mapping/Directions, Information, and Social Media. Future updates will include ticketing, multi-day park passes to the paid POI’s, ordering of concessions, classes, public art, memberships, walking tours through qr scans and location based technology, and transportation options all through this incredible iPhone App. You will be able to find your way around Golden Gate Park, Dolores Park, the Marina, Palace of Fine Arts or spend an afternoon with the kids at the De Young Museum, California Academy of Science, or the Palace of Legion of Honor. As a local or tourist you can easily find your way to explore locations like Union Square, The Palace of Fine Art and Coit Tower. Find a new park for a hike, let your dog off leash at a number of the dog friendly parks or find information on all of the hundreds of playgrounds. Discover and navigate all this City has to offer!